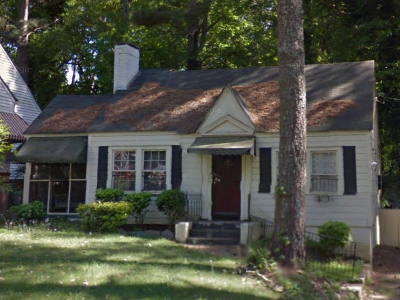 Spend less time and money selling your Riverdale house, regardless of the situation, with a fair cash offer today… We buy houses throughout Georgia! If you’re in no position to pay hundreds (even thousands) of dollars on repairs and let your property sit for months waiting for a buyer… then you can get a real home buyer today to buy your Georgia property with cash and in its present condition! Selling a home in Riverdale is no easy task if you need to get out of your tough situation ASAP. The hassles that you might go through isn’t worth it. You can easily spend thousands to repair a disastrous house that you just inherited. Imagine dealing with agents and buyers while going through a stressful divorce. Or owning a house with non-paying tenants who don’t care about the condition of your rental while certain medical conditions make it impossible for you to kick out the tenants and fix the house. Situations like these, make it a headache to find a good agent while dealing with months of appointments, clean-ups, and demanding buyers… all while risking the chance that a prospective buyer drops out of the deal because he/she couldn’t get financing… a cash offer today is what you need! Fortunately, there is a different option other than listing it. At The Wyatt Group Inc., Georgia‘s trusted homebuyer, you can sell your Riverdale home quickly without any hassle! A real estate broker can’t guarantee anything for your tough situation except a fat 6% commission (if they even find a buyer), and up to 6 months of your house just sitting there while your unexpected life situation is gnawing at your ankles. you get an all-cash offer (so that you can rest assured that your sale is final!). you sell your house in Georgia in its present condition (so you won’t have to put up with the hassle or cost of making repairs to bring your home up to a move-in-ready condition… we’ll take care of that). you close on the day of your choice (so that you can control the whole process this time). you pay NONE of the costs (we pay for all those expensive closing costs that you’ll end up paying for in a normal sale). no banks, appraisers, inspectors, or agents are involved (only us—a professional home buyer). no clean-up necessary (so that if you’re tired of dealing with clutter and mess, you can leave everything behind if you choose). you can celebrate a quick, easy, and hassle-free process with a nice night out at the Fusion House Asian Restaurant! Are you thinking that selling through an agent will just be this massive migraine and you just want to get out of your situation TODAY..? Then contact us now at 678-379-1333 to get a free consultation and a fair offer! Get a hassle-free sale today regardless of the situation! Sell your house in Riverdale, Georgia hassle-free!